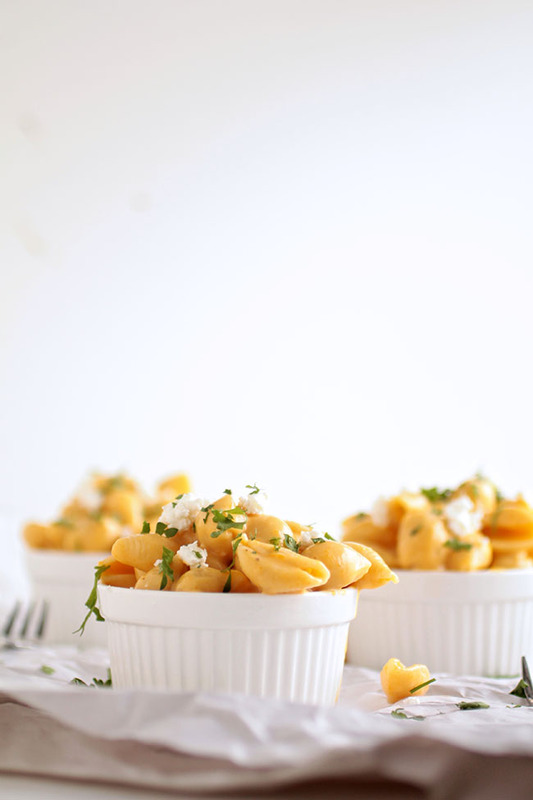 This easy Roasted Butternut Squash Mac and Cheese is full of flavor and simple to make! This post contains affiliate links, which means if you buy something I’ll earn a small commission at no cost to you. I’m a little bit obsessed with this mac and cheese. I mean, what does it NOT have? There’s pasta (!) and roasted butternut squash (!!) and GOAT CHEESE (!!!!!!!!!!!!!!!!!!!!) and it is SO insanely rich and creamy that you’d never guess it’s made with 1% milk and missing the “traditional” cheddar overload that so often goes into cheese sauces. (Not that cheddar overload is a bad thing. Obvs). But this mac and cheese is incredibly simple and needs only a handful of ingredients to take it over the top. I’ve also been really impressed with how well this mac and cheese reheats. Some cheese sauces taste great fresh, but pop ’em in the microwave for meal #2 and suddenly they become a greasy, separated mess. I find with my mac and cheese recipes that adequately thickened milk and a robust enough roux (combined with loaddddds of cheese) generally counteracts that problem just fine. I was a little nervous with this one, though, because – since the butternut squash adds so much thickness and creaminess to the sauce – there really wasn’t all that much milk or cheese in it, and I wasn’t sure how the squash would hold up. Fortunately, even as I polish off the final bites four days later, the butternut squash mac and cheese sauce retains its richness and creaminess despite all the fridge time and microwave zapping I’ve thrown at it. Kyle also just got his wisdom teeth out and is on a pretty exclusively soup-and-mashed-potatoes diet, which means I’m the only one eating “real” meals, which means it’s a lot less worth it to go through the whole process of cooking a big thing at the end of the day. So basically, my life = leftovers. And I’m totally cool with it. I’ve made it my goal this year, though, to keep up with blog recipes more than I have during the last couple of semesters. I hated getting so busy that I didn’t have time to cook ANYTHING, let alone cook/style/shoot/write something for Life As A Strawberry. Grad school is so dumb, you guys! I mean, it’s good because advanced training and networking and Ivy League = fancy or whatever and maybe possibly more money someday and blah blah blah. But mostly it’s dumb. So I’m making more time to let go of the dumb-ness and do fun things, like redecorate my kitchen and plan The Sustainable Seafood Blog Conference and hang out with my family (shoutout to Mom and Dad, who are leaving the warm cozy west coast in a few days to hang with us in the snowy New York tundra for my birthday) and post more recipes and eat more super-yummy-scrumptious bloggy food. 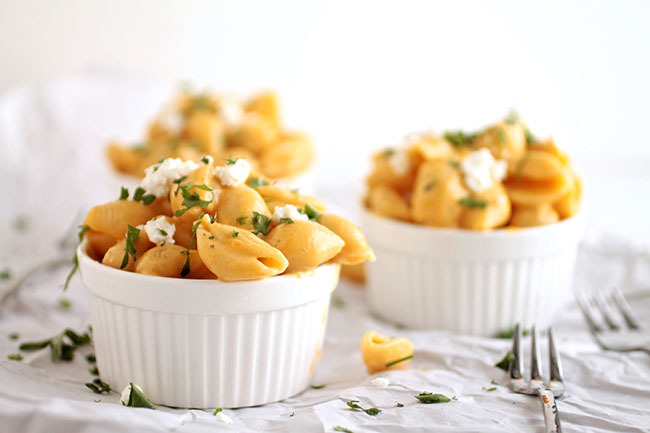 We’ll start with this butternut squash mac and cheese. Sound good? Good. 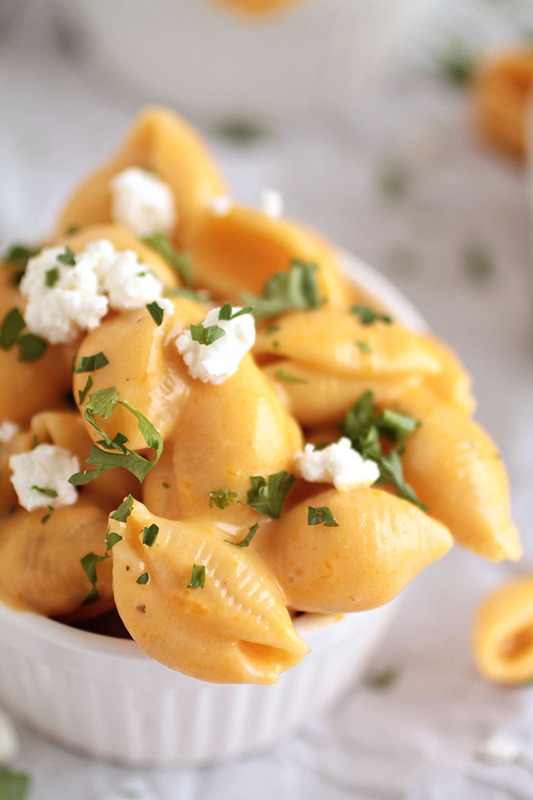 Simple roasted butternut squash mac and cheese. Cut the squash in half lengthwise (be careful and use a very sharp knife – squash can be tough to cut through) and scrape out any seeds. Compost/discard the seeds or save them for roasting. Place squash halves cut-side up on a baking sheet and season with salt and pepper. Roast at 400 degrees Fahrenheit for 40-60 minutes, until squash is easily pierced with a fork. Remove squash from oven and let cool until it’s cool enough to handle. Scrape roasted squash out of the skin with a large spoon. Place roasted squash in a food processor and give it a quick whirl to break up any large chunks. Use what you need for this recipe, and save the rest for Roasted Butternut Squash Risotto, soup, or any recipe that calls for pumpkin or squash purée! In a large saucepan (I use the same pot I just cooked the pasta in!) melt butter over medium heat. Add flour and whisk together to form a roux. Let cook for 2-3 minutes, until fragrant and slightly darkened in color. Add milk a little bit at a time to the roux, whisking constantly to work out any lumps. Cook until milk has thickened and mixture is not quite simmering, 8-10 minutes. Whisk butternut squash and goat cheese into sauce. Whisk until cheese is melted, then add salt and pepper to taste. Don’t be shy – seasoning is important! If there are any lumps left in the sauce (from the cheese or the roux or the squash or whatever) blend it with an immersion blender for a few moments to smooth it out. Return pasta to saucepan and stir to coat all of the noodles with the sauce. Top pasta with a few crumbles of goat cheese and a sprinkle of chopped parsley for color and brightness. Serve immediately. 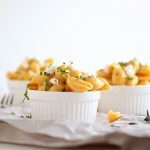 This is a great stovetop pasta mac and cheese – the sauce gets a lot of cheese-like creaminess from the butternut squash and the goat cheese really just brings it over the top. I almost always add some kind of cheddar to my cheese sauces, even when a different ingredient is the star, because it gives it the richness we’re all used to in mac and cheese. This dish totally doesn’t need that extra cheddar, though – the butternut squash gives the sauce just the right texture and the goat cheese is really all the cheese you need. I chose not to bake this mac (three cheers for stovetop mac and cheese!) but if you’d like to bake it, place it in a baking dish and top with 1/3 cup of butter-toasted breadcrumbs. Bake at 375 for 25 minutes or until the top has browned. 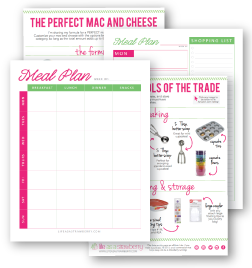 For tips on how to perfectly bake mac and cheese, check out this post. Add your favorite veggies or proteins to this mac and cheese to make it a little heartier. 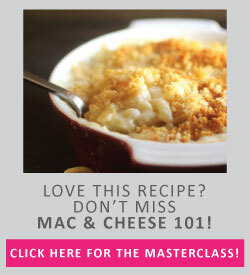 For some ideas about how to riff on this recipe and make perfect mac and cheese every time, check out Mac and Cheese 101! I’ve just discovered your blog and I’m absolutely loving it! I Definitely want to try out some of your recipes. I have just one que on this recipe, if not goat cheese then what other cheese will go well? Goat cheese may be a difficult find for me, considering the halaal factor. Thank you for the awesome recipes and tricks! loved your cupcake posts. I’m so glad you’re here and you like the site! If goat cheese is tough to find, you could try a sharp white cheddar cheese or even a bit of marscapone or ricotta cheese. If you miss the tanginess of the goat cheese (those cheeses are delicious but don’t pack quite the same punch) you could also try blending in a bit of plain Greek yogurt. Hope that helps! Wow is this gorgeous, or what? Love the butternut squash here! And the styling is spot on! Thank you so much! I had a lot of fun with the photos for this recipe – I’m so glad you like the results! 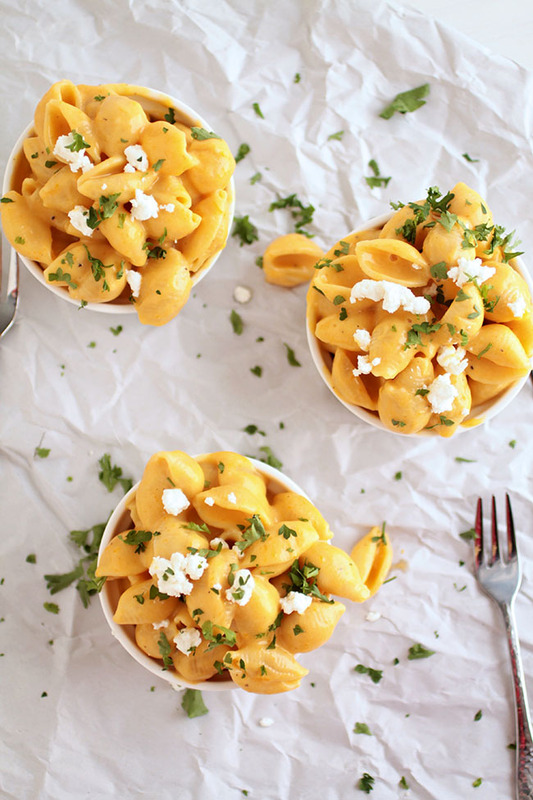 A butternut squash and goat cheese mac and cheese sounds fabulous! What an awesome side dish! Pinned! I always enjoy indulging in a bowl of mac and cheese. I never though have made a butternut squash flavoured version.. I must try this recipe! Hi Jessie, this is Savita, from chefdehome.com. I think we share same obsession for mac and cheese! and you have made it look so simple and scrumptious! plus bonus of butternut squash is so compelling that I have to try it soon!! thanks for sharing! Thanks, Savita! Mac and cheese is the best!